Richard Sanders, 67, of York, died after being ejected from the raft Saturday in West Forks Plantation while on a commercial trip with North Country Rivers. 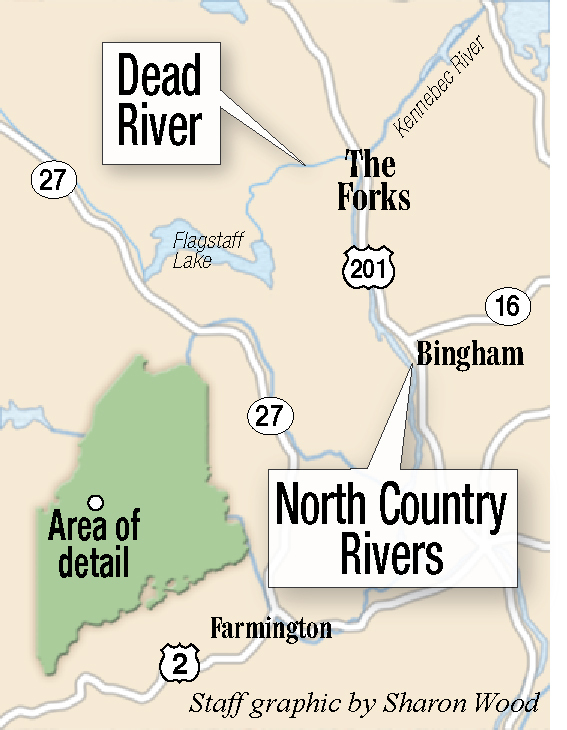 A York man may have suffered a health problem after being ejected from a raft on the Dead River in West Forks Plantation and dying Saturday, according to the Bingham rafting company guiding the commercial trip. Meanwhile, the Maine Warden Service continues to investigate the accident that resulted in the death of Richard Sanders, 67, of York, who was on a trip with North Country Rivers whitewater rafting. In the guided group there were five rafts running tightly together, according to a statement on Sunday from Jim Murton of North Country Rivers. All guests were wearing life jackets, helmets and full wet suits, and each raft was guided by a registered Maine Whitewater guide, it says. The accident occurred during a controlled release of 5,000 cubic feet per second of water and one raft flipped at the bottom of Mile Long Rapid, Murton said in the statement. The remaining four rafts quickly performed a rescue and all guests were pulled in rafts, according to Murton. Sanders was not breathing when a guide with EMT certification began CPR and additional people with EMT certifications assisted. Emergency medical services were contacted and Sanders was evacuated to an ambulance. “Our thoughts and prayers are with the family,” Murton added. Cpl. John MacDonald, spokesman for the Maine Warden Service, said in a release after the accident Saturday that wardens responded to the scene just after 2 p.m. The raft was carrying seven passengers, including a guide, and all passengers were ejected when the raft flipped on a remote part of the river known as Mile Long Rapid, it says. West Forks Fire and Rescue and Somerset County Sheriff’s Department officials helped at the scene, according to MacDonald. North Country Rivers is located at 36 Main St. in Bingham. A Massachusetts man died in May last year while on a commercial rafting trip with North Country Rivers when he fell out of the raft as they were going through a series of rapids on the Dead River.